Merge dupes manually, mass merge, or set it and forget it by scheduling Cloudingo to automatically merge duplicates. 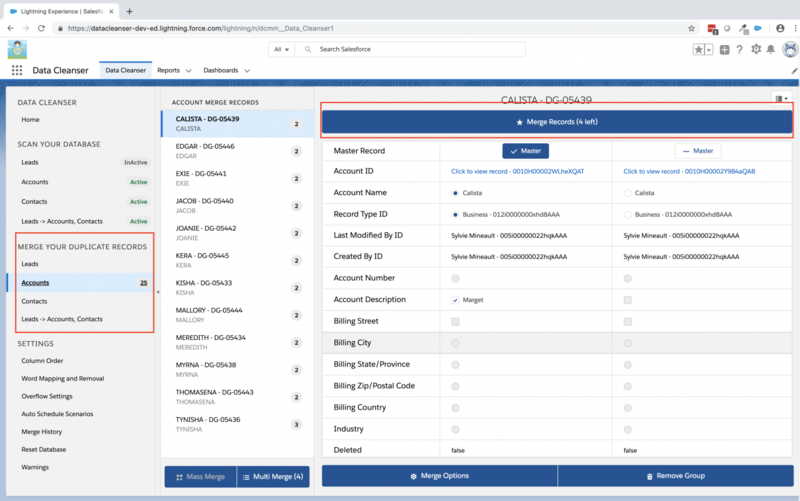 Customizable filters and robust matching criteria allow you to dig deep to find duplicates using anything from exact to fuzzy matching and even synonyms. Identify duplicates in minutes. Both Standard and Custom Objects Clean those unwanted duplicates with our standard scenarios or build your own. Data cleansing has never been easier. Stratus Data Cleanser solves the problem of finding duplicates in your Lead, Contact and Account databases. Plus, we now fully support all your Custom Objects for Duplicate scanning and removal. 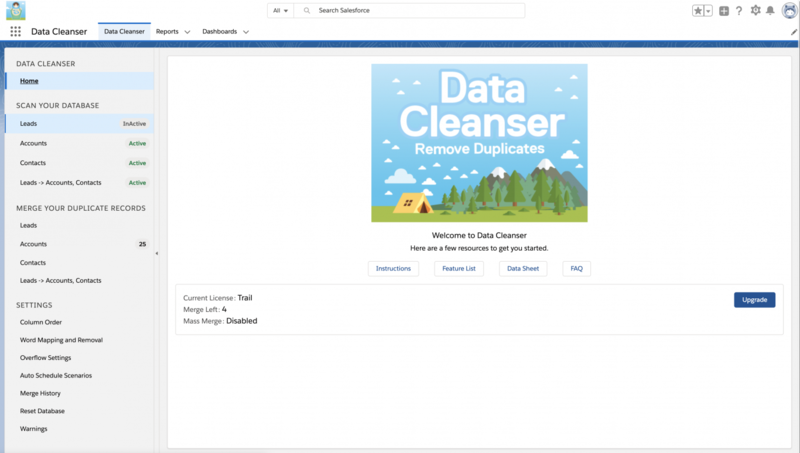 Simplify your marketing and reporting initiatives by cutting down all the clutter that tends to build up inside Salesforce.com.